Something happened about 20 weeks ago that I haven't blogged about yet. 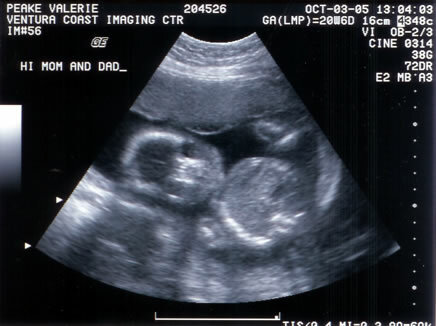 But having seen the face of the being who, inshallah, will soon be my child--I felt the need to share. And, given I am entering a whole new chapter in my own life shortly, I added a new category to my blog: Fatherhood. "Code Poet Poppa?" It has a ring to it, I suppose. The experience of seeing a life that will soon be intertwined with my own is really hard to describe. I didn't really feel proud--after all my part in the matter was microscopic in comparison with what God and genetics and all the cottage cheese my wife has been eating are doing here. In fact, it was humbling, and a certain sense came over me that I am not so much willing my own way into such fortunate circumstances as cooperating with something so much wiser, nobler, and more benevolent than my own small self. 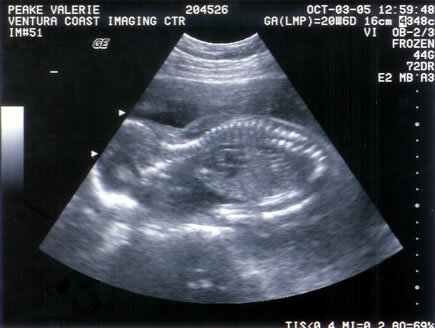 The same course that guided me from a similar one-pound little floating fetus to who I am now is ushering in a new life. And I get to watch--and even play.